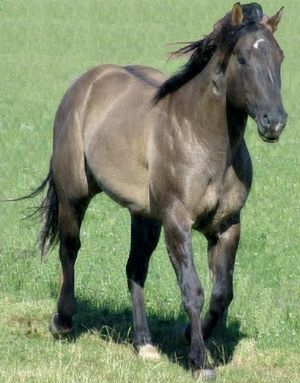 Q is cutting bred with some old style stallions in his pedigree - check it out here http://www.allbreedpedigree.com/justa+lil+promisq+s. He has shown a great temperament - is easy to handle around mares when serving and is good with youngstock. Unfortunately due to time constraints he hasnt been out and about to shows as we woud like and his training has been limited to date though he is going under saddle.